The goal is to travel 10 feet. There are no specific size, material, or weight requirements. However, it should be able to fit next to 2 other cars inside the class room. The only human interaction should be to trigger/start the car. Using these rules we knew that the racer had to be as light as possible to efficiently transfer the potential energy into speed. 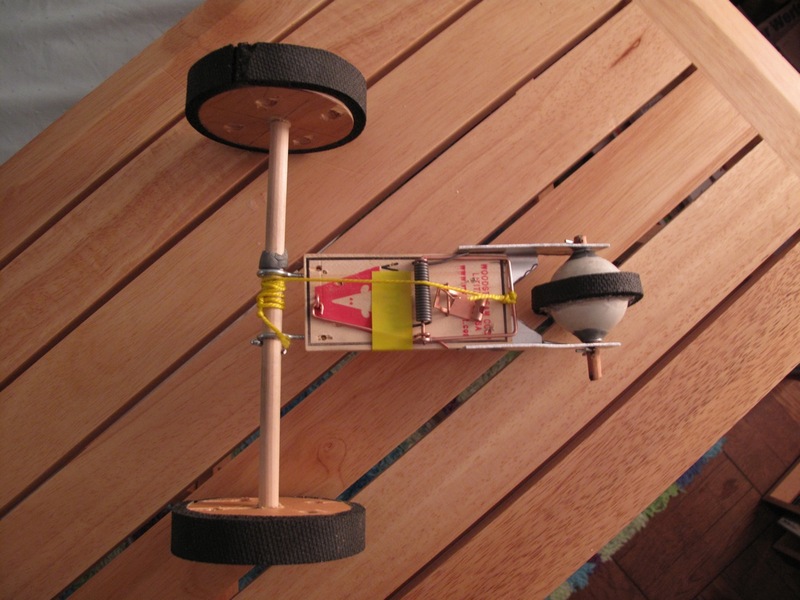 We used the actually mousetrap as the cars chassis. 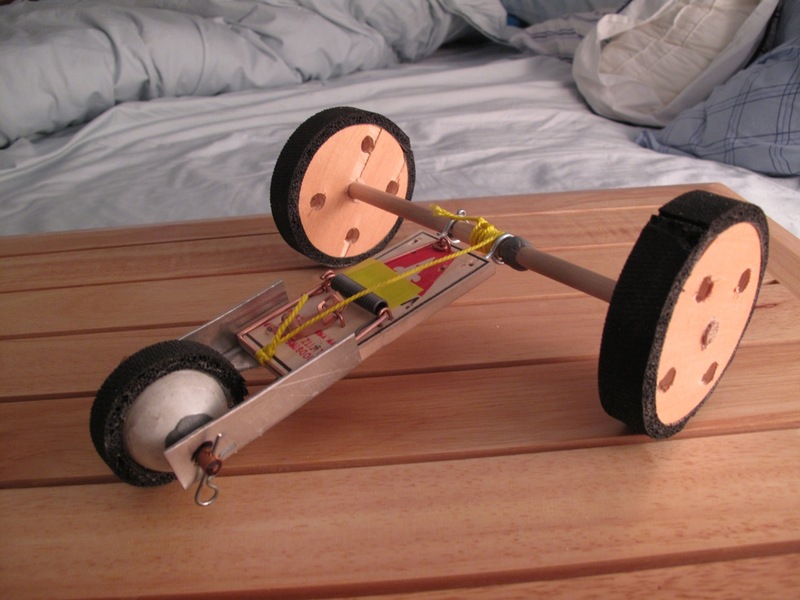 For the back wheels, we made wooden wheels out of scraps wood and attach rubber strips to the wheels for traction. The front wheel was made out of a ping pong ball and again we attach a rubber strip for traction. 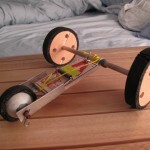 The front wheel has a aluminum shaft with a wooden dowel through it. This aluminum shaft and dowel assembly acts as a bearing for the front wheel. The car’s acceleration is really fast. We took 1st place in our class competition! 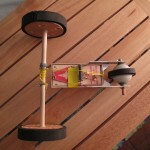 Mousetrap Racer Test #1 from Russell de la Torre on Vimeo. This entry was posted on Thursday, February 18th, 2010 at 5:56 pm and is filed under Mechanisms. You can follow any responses to this entry through the RSS 2.0 feed. You can leave a response, or trackback from your own site. this would make a great cat toy! love it!